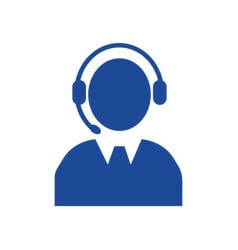 With care.coach, patients can talk with a captivating avatar that serves as the face for care.coach's team of specially trained health advocates. The platform engages and coaches patients to improve self-management of chronic conditions, and provides compassionate, 24x7 psychosocial support. Conversations of a clinical nature are automated through software algorithms that implement clinical best practices, as well as reporting and alerts to stakeholders such as clinicians, caregivers, and family members. ​Because it is driven by real people, the platform works with any level of technology and cognitive ability, which makes it ideally suited for the types of individuals at the highest healthcare risk and cost strata. Without you, my dad would definitely be in a nursing home...you have allowed me to keep him safer and happier than he would be anywhere else. You, along with his daycare, are absolutely amazing! ​I think it’s great - I have nobody to talk to. No relatives or anything. Two of my participants that are struggling with loneliness, medical illness, depression, anxiety and mild cognitive issues have taken to the Avatar and enjoy it immensely. The companionship offered through the program provides much needed grounding. 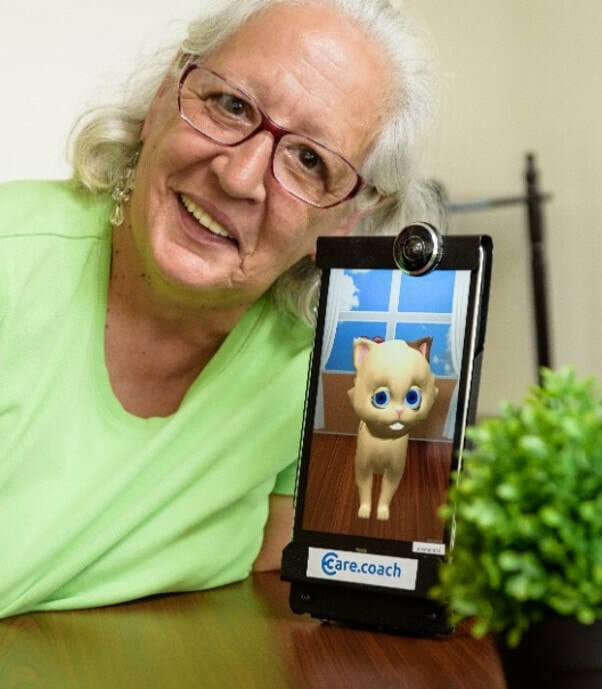 The care.coach approach is a thoughtful combination of digital technology and genuine human connection...a creative solution to the shortage of qualified caregivers in the U.S.
Our specially-trained Health Advocate team provides 24x7 support, wellness coaching, and intelligent reporting through our award-winning, avatar-enhanced care platform. ​Click below to learn more about our services. Multiple clinical research projects have been completed to test the integration of software-driven health coaching and our one of a kind people-driven social relationships. Click below to see what care.coach has been up to lately. From individual homes to inpatient settings, ​we are here to ENHANCE care and IMPROVE health. care.coach has been successfully deployed to customers in the form of both individual families and organizations. care.coach operates under the GeriJoy brand for individual caregivers and consumer markets.